As it happens, you might. Sleep is a nervous creature; it’s easily spooked and difficult to tame. There are however a few things to keep in mind in order to help you fall asleep. Instead, read a book. Books are (usually) nice and monochrome and give minimal visual stimulation to the brain. Avoid glossy magazines and stay away from the television. I know, I know: lots of people fall asleep in front of the telly, but the reason it’s a bad idea is that it emits mainly blue light. Blue light will trigger the hypothalamus to put the brain in ‘awake’-mode, since it mimics the frequency of daylight. So keep the light low and keep it yellow or even red. Other things are more self-explanatory: avoid drinking too much before getting ready to go to bed. Even though coffee and tea is might only act as a stimulant for a limited amount of time (30 minutes to and hour or two at the max), it’s also diuretic and could interrupt you falling asleep by forcing you to got to the bathroom at the wrong time. No, it's not a hippie, actually. If you manage to fall asleep, your next hurdle is to stay asleep until morning. 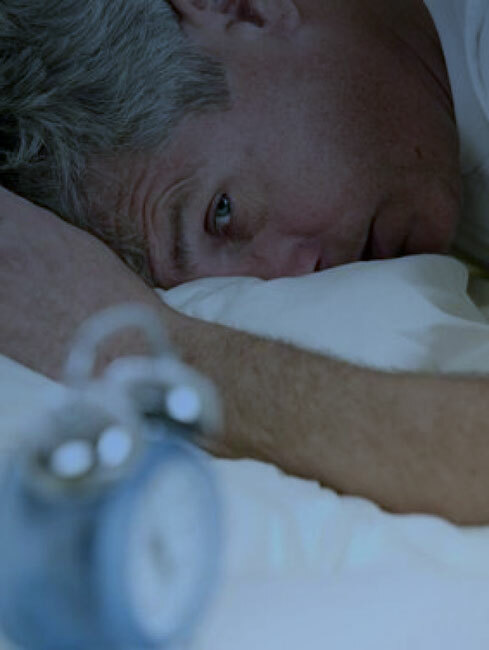 Unsettling dreams or nightmares could wake you up in the middle of the night and the stress caused by them could make it difficult to go back to sleep. Enter the dream control programme. Even though it might not feel like it, we are in fact in charge of our own dreams. This means that you can program your brain to respond in appropriate ways to scenarios by telling yourself what to do before going to sleep. And since most nightmares follow the same patterns, it’s quite easy to predict what could happen. If, for instance, you dream of being chased by some evil person or creature, convince yourself to turn and face your persecutor. You’ll find it instantly melting away and becoming benevolent. 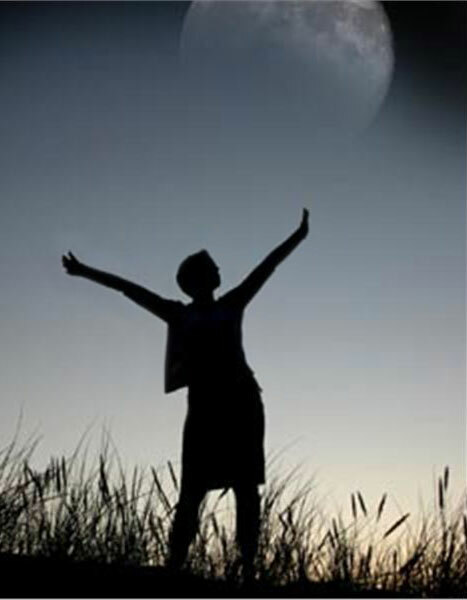 The key to proper dream mastery is confidence in your power over your own dream world, and this is what you need to tell yourself each night before falling asleep. The final step in a good nights sleep is when to wake up. I am aware that we’re seldom allowed to sleep until we wake up naturally, but there are ways of minimising the pain of getting up early in the morning. I watch your every move..
A sleeping brain will alternate between REM and NREM sleep in rhythmic intervals, and the key to wake up easily is to time the alarm clock to go of during the NREM phase. One way is to test when it is easiest to wake up by trying different alarm times. This simple method works surprisingly well, but it does require you to go to bed more or less the same time each night. Another way is to use a measuring device that can tell when you’re in REM and when you’re not. It could then trigger the alarm during your light-sleep phase and you’d wake up feeling well rested and alert. This might sound technical and complicated, but luckily there’s an app for that. 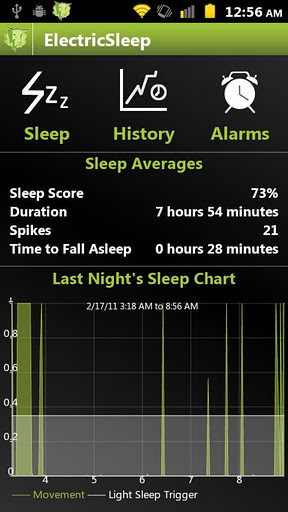 Several apps, actually (Electric Sleep for Google Android and Sleep Cycle for Apple iOS are two examples) . They work by using your smartphone’s accelerometer sensors to pick up vibrations from your bed. The more vibrations, the more you’re moving around and the lighter your sleep. It then times the alarm clock to go off during that phase. This approach is better if you can’t rely on going to bed at the same time every night, but out doesn’t work all that well if you sleep in the same bed a someone else. If all else fails and you find yourself at work after a sleepless night trying to stay awake (oh, the irony! ), you might be able to regain some alertness by napping. Contrary to popular belief napping isn’t sleeping, but it will recharge you and let you go about your business for a few more hours. Daniel Tenner has written an interesting and informative post about napping, which I recommend that you read: How to nap. It might even help you find a way to fall asleep quicker and easier. If napping is out of the question, you might be tempted to think that strong tea or coffee will help you keep your eyes open, but I’ve found this not to be the case. The best way is to simply stand up and walk around for a few minutes and perhaps engage in a lively discussion with some colleagues. There are of course as many ways of going to sleep as there are people, and there’s no saying what will work for you. Perhaps listening to an album with sounds of waves on a deserted beach? Or meditation? Or just a chain of thoughts that you repeat every night to let your brain know it’s time to switch off? Whatever method you choose, the key to success seem to be in repetition and fixed routines. We’re creatures of habit after all, and can be trained to do almost anything – even something as difficult as falling asleep. And with that I bid you goodnight. Creative dreaming! P.S. I’m sorry this post has taken so long to get finished, especially since so many of my Twitter friends seem to suffer from insomnia, but ironically I’ve been feeling very tired and sleepy lately. I take pills, because none of the other things worked. The pills work! They are MAGIC pills. Like Lt. Dan’s MAGIC LEGS in “Forrest Gump.” But they don’t always work, and on those nights, I am one cranky woman. “PILLS!” I say. “WHY HAVE YOU FAILED ME?” But, mostly they work. So I love them. I’ve been an insomniac since I was 13. So is my father; so were his mother and aunt; so was his grandfather. It’s inherited, apparently. What a joyous trait! Yeah, that’s not a nice trait to inherit. Although I guess there are even worse thing you can inherit as well. Are those sleeping pills or falling asleep pills? They’re supposedly different things? Do they let you dream? Falling asleep pills. I dream like a champion. About all KINDS of crazy things! My problem is I can’t fall asleep (and often can’t stay asleep, once I’m there.) So the pills get me to sleep, then I have a million tricks to keep me asleep once I’m sleeping. It’s like a job every night, this sleeping thing. I envy people who can do it easily. i’m with you on the pills. unusual circumstances led me to NOT HAVE ANY for the past few days, and it has been HORRIBLE. i have been on sleeping pills which were only trialed for short term use for years, and can report absolutely no trouble dreaming whatever. i have even made a little bit of headway with lucid dreaming, though not as much as i would have liked. Yes, those pills are supposed to be very good. I’m sure you’ll be a dream master before long! There’s so much I want to respond to here. I’ll reserve the right to come back and comment obsessively. This is one of my favourite topics. I’ve always been obsessed with how some people need dramatically less sleep than others. Perhaps, it’s because they’d seen less exciting things that day. My problem is that because I read at an early age that some people trained themselves to get by on less sleep, I’ve spent an inordinate amount of time trying to alter the amount of sleep my body demanded. Or, thanks to what you’ve written, it was my brain I was attempting to change. To no avail. Please DO feel free to comment obsessively! Yes, I believe there are fixed ranges of how much sleep a person need – you can probably tweak the amount but you’ll be stuck within your limits. It might have to do with how you process information – just like some read faster than others. However, meditation or napping is supposed to help you manage with much less sleep, perhaps because it allows you to go to REM much quicker. All in all, though, I recon it’s best to stick to old-fashioned sleeping – just put that book away a chapter earlier and save it for tomorrow. I too reserve the right to come back and comment obsessively. For a split second reading this, I thought you were going to tell me to plug my phone into my brain. Had a little scare. I hope your blog post about better sleeping isn’t going to keep me up tonight. No no, we don’t have to plug anything into our brains. There are ways of recording dreams onto hard drive now using some kind of EEG, but even then there’s no need for invasive surgery. I figured out my sleep cycle years ago, and since then have tried to set my alarm for a time that is an increment of 1.25 hours from when I go to sleep. I don’t know if my sleep cycle has changed as I’ve aged, or if it’s the trouble falling asleep, but it doesn’t always work anymore. As far as pills go, I’m a big fan of melatonin to help get to sleep, and it keeps me asleep all night! Interesting! I guess our sleep cycles could change as we get older. As we tend to live our lives in a more orderly form, making it more routine, we would require less sleep which could shorten our REM phase, I guess. Or, as you say, it could just be the fact that you have trouble falling asleep. I have had serious bouts of insomnia all my life, and have on quite a few occasions lay awake waiting for sleep, until the alarm goes off. I have learned to live with it, it only happens in bouts of about 4 days and then i get a good few nights sleep, sometimes even a couple of weeks restful sleep. but then the wide awake night are back. I find that these nights of insomnia come about when my mind is most active, racing with ideas. I have learned to keep a note pad beside the bed, and write down my better ideas, and looking back i can’t think of a single time i have used a good idea in work or figured out the solution to a problem that hasn’t come from an insomnia driven flash of genius. truth be told, it’s worth a few nights restlessness. But don’t you suffer from being tired the next day? That’s what I find most infuriating – I can live with the sleeplessness, but the feel of dizzying tiredness during work hours is very disconcerting.